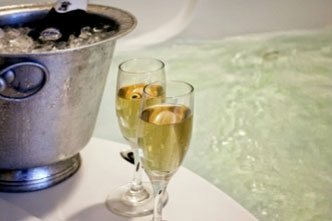 There’s always a reason to celebrate in St. Augustine! Whether it’s season-long concert series or cultural festivals, it’s not uncommon to see a crowd of revelers gathered in town. If you’re deciding when you’d like to book a stay with Agustin Inn, you can use these St. Augustine events as a guide to determine the best time to visit. Preview some of our favorite events down below. Shake off the winter with a spring getaway to St. Augustine! From March to June, our cozy town begins to warm up, and the trees and flowers start to bud. While there are still chilly days, the weather tends to be very mild, with temperatures ranging between the 70s and mid-80s. The streets of St. Augustine aren’t too crowded, though weekends are typically bustling with visitors. St. Augustine Lions Seafood Festival: Held in late March, typically around the first days of spring, the St. Augustine Lions Seafood Festival brings music, almost 100 arts and crafts exhibitors and vendors, and (of course) delicious Florida seafood! Rhythm & Ribs Festival: Is there any better combination than barbecue and live music? Enjoy award-winning fare as well as local and nationally known bands at this fantastic event. Early April marks the date for the event voted St. Augustine’s best festival for 12 years! A Taste of St. Augustine: Spring is the season of renewal, and in St. Augustine, the season for food festivals! Discover why our city is quickly becoming known as a popular foodie destination. 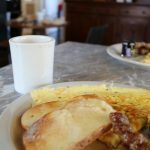 Local restaurants, wineries, and cafes participate in giving visitors a taste of what makes them special. Is there anywhere better to travel in the summer than Florida? We’ve got beautiful beaches, warm weather, and plenty of fun things to do. Temperatures typically land in the high-80s and 90s, so take advantage of the Old Town Trolley’s beach shuttle to visit the shore. If you want to avoid the crowds, make good use of your PTO days and visit our town during the week to avoid the crowds and catch some of the town’s best concert series! Concerts in the Plaza: What’s better than live music? The answer is free live music! Concerts in the Plaza is a series held from Memorial Day to Labor Day. Every Thursday night, you can catch a show at the Plaza de la Constitución. Music by the Sea: What’s better than one free concert series? The answer is two free concert series! Music by the Sea is held every Wednesday during the summer at St. Johns County Pier Park. Enjoy live music with a gorgeous view of the water. Fireworks over Matanzas: There’s no better place to celebrate our country’s independence than in the Nation’s Oldest City! This 4th of July celebration includes live music and one of the largest fireworks displays in the East Coast! Fall tends to be St. Augustine’s rainy season, but there’s still plenty of indoor things to do to keep you entertained during your getaway. This is the perfect time for couples to enjoy a romantic getaway, as kids are returning to school and you’ll have the town to yourself! Temperatures during this season are similar to spring, falling in the mid-70s and 80s. Greek Festival: Opa! Enjoy traditional Greek music and dance, delicious food, educational displays, and unique vendors when you attend the Greek Festival of St. Augustine. It’s held every year in mid-October. First Coast Arts & Crafts Festival: The First Coast Arts & Crafts Festival’s fall show is spectacular. In late October, you’ll get to browse through vendors showing off their handmade works. There’s everything from exquisite jewelry to home decor. Admission is free! If you need to escape the cold and the snow, head to St. Augustine during winter! This season brings cloudless months and temperatures ranging from the low-70s to the high-60s. You’ll definitely want to bring a jacket for the morning and evening, though, especially if you plan on enjoying the first of the winter events! Nights of Lights: Discover why St. Augustine was named one of the best places to see holiday lights by National Geographic! This highly anticipated event decorates the city with over three million lights. The fun begins in mid-November, with the Light Up! Ceremony. Be sure to take the St. Augustine Nights of Lights Trolley Tour to take in the splendor. Old City Pirate Fest: St. Augustine has a long history with pirates, and you can learn all about it at the Old City Pirate Fest! It takes place in late January and features pirate-themed food, drink, and entertainment. Annual Bed and Breakfast Holiday Tour: This event is dear to our hearts! The Annual Bed and Breakfast Holiday Tour allows visitors and locals to see the beautiful inns that make our town so special (including our very own establishment!). Each of the B&Bs has partnered with a local restaurant so you’ll be able to sample some delicious fare as well as seeing these beautiful locations. 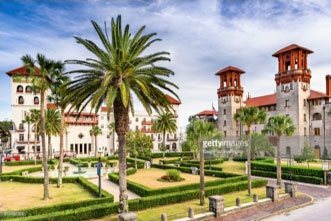 No matter when you visit or which of these St. Augustine events you attend, the choice for accommodations is simple. 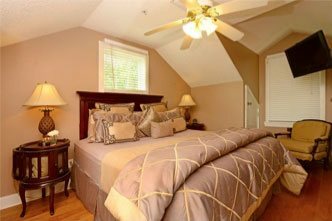 Agustin Inn offers the most comfortable, elegant accommodations in the best location. You’ll stay just off of St. George Street, where all the best restaurants, shops, and attractions in the city are located. 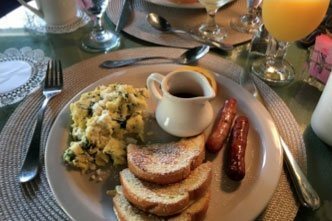 Plus, you’ll enjoy our historic bed and breakfast’s many top-notch amenities, gorgeous guest rooms, and a delicious daily breakfast that puts any restaurant to shame! Are you searching for St. Augustine events happening this week? Follow us on Facebook! We’re always posting upcoming festivals and other exciting happenings in town.